A toilet. A torture chamber. 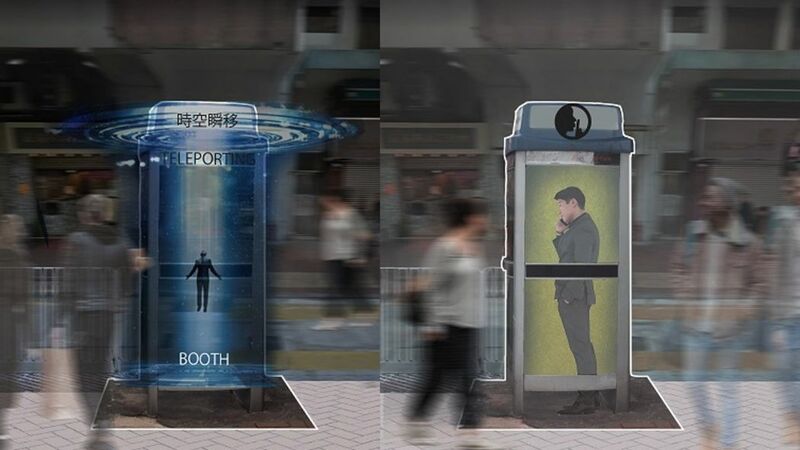 A teleportation booth. 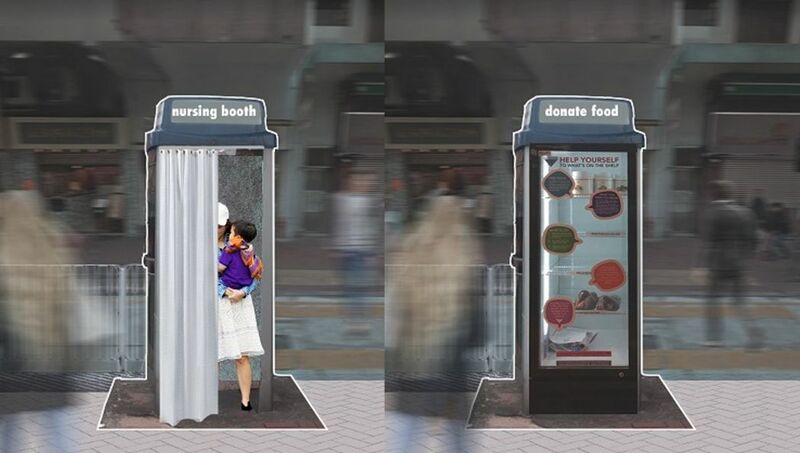 These are some of the repurposing proposals for Hong Kong’s 2,900 indoor and outdoor public payphone booths. Hong Kong public phone booth. File photo: Wikicommons. 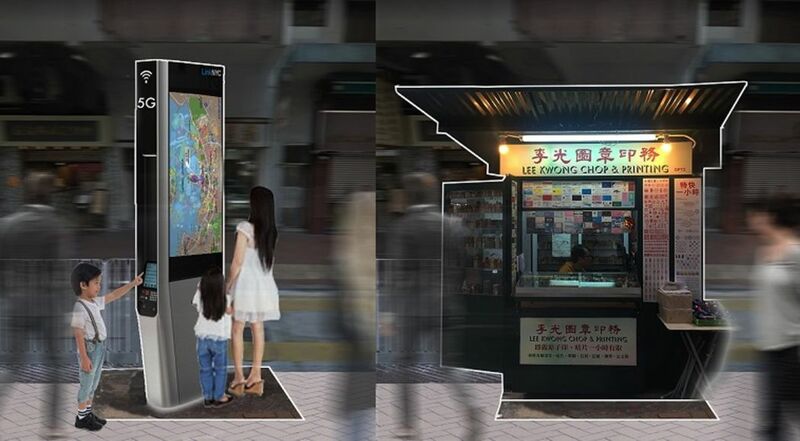 Local authorities have given the green light to NGO Designing Hong Kong to collect public suggestions on how to revamp the unloved kiosks. Public toilet (left). Medical booth (right), to provide a quick scan for those in need of medical assistance. A defibrillator is also included. Photo: Designing Hong Kong. With the rise of mobile phones, payphone booth-use has declined. According to the Office of Communications Authority, public payphones have an “extremely low usage rate” and generate an average of HK$1 revenue a day, with around 56 per cent of them earning less. 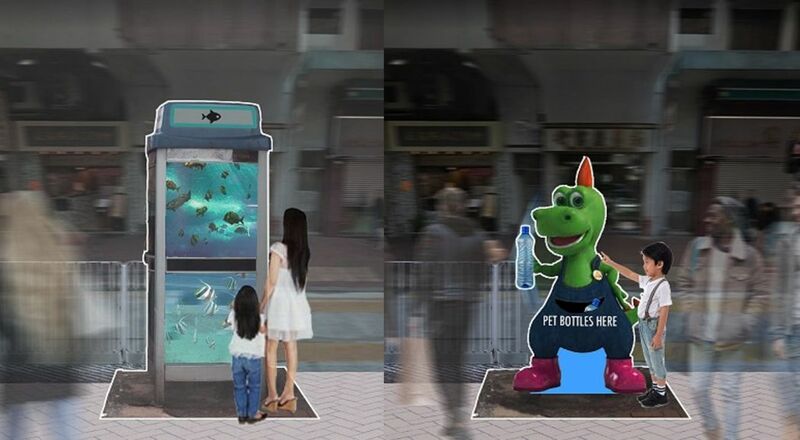 Hydra Chill (left), a kiosk with water dispensers and re-usable bottle rental. 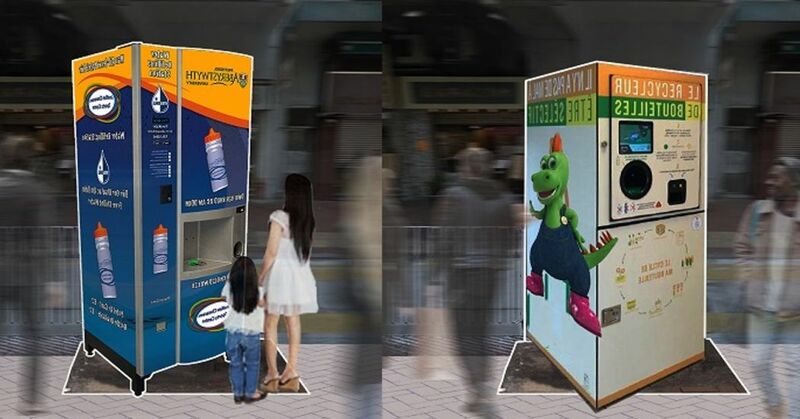 Reverse Vending Machine (right), where users can return used plastic bottles and receive points or tokens to encourage recycling. Photo: Designing Hong Kong. 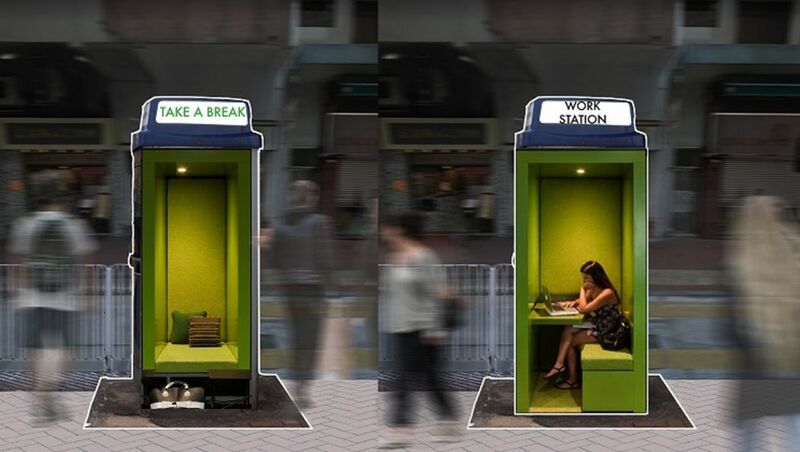 In recent years, the neglected booths have attracted complaints from members of the public who say they take up space on the city’s narrow pedestrian pathways; while drivers say the cubicles block their sightlines. Mini-library (left), a communal place where people can leave, borrow and browse books. 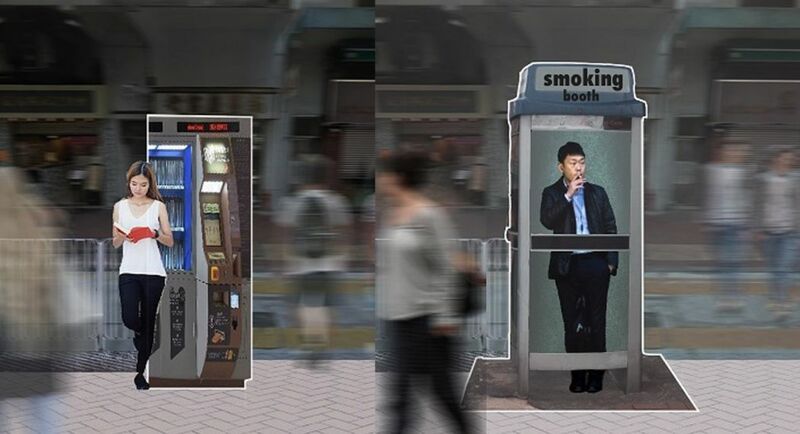 Smoking booth (right). Photo: Designing Hong Kong. “I always thought it curious why we still have payphones along our streets, in ferry terminals and other public locations. They appear memories of a time long gone by. I can’t recall seeing anyone use one recently. Their forlorn presence makes you wonder why we don’t get rid of them,” Paul Zimmerman, district councillor and founder of Designing Hong Kong, said. Nursing booth (left) to provide mothers with privacy. Donations fridge (right) where restaurants and community members can place excess food for those in need to take. Photo: Designing Hong Kong. 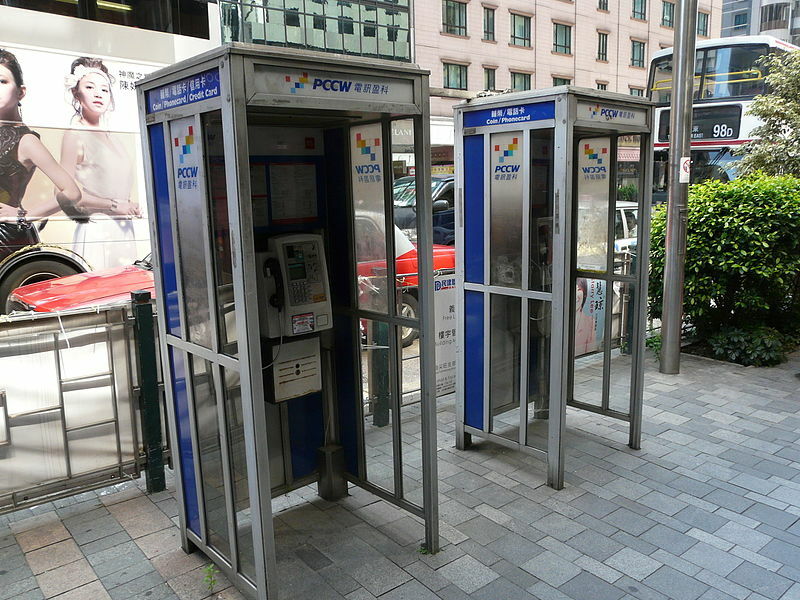 Zimmerman added that payphones are important assets that should not be wasted, with each location fixed with typhoon-proof foundation, a communications line and power supply. Torture chamber (left) to experience the history and instruments of torture. 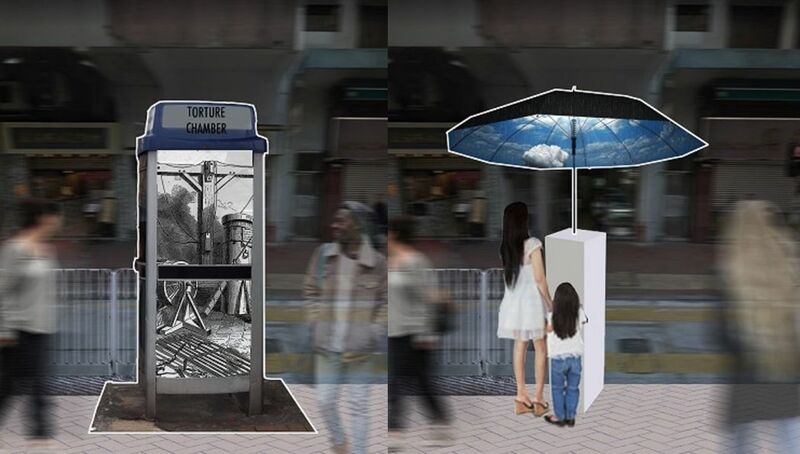 Weather umbrella (right). Photo: Designing Hong Kong. 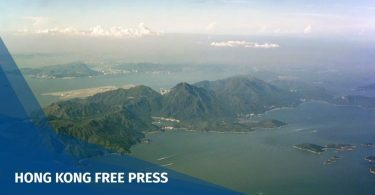 Designing Hong Kong, which aims to achieve sustainable development in the city, has narrowed down 34 top proposals from members of the public. Voting has opened for the favourites. Octopus coin charger (left) for users to deposit their coins and charge their Octopus cards. 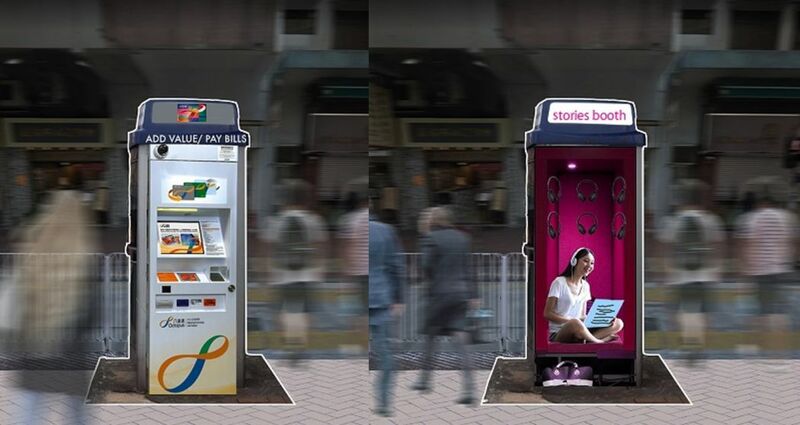 Storytelling booth (right) with headphones provided. Photo: Designing Hong Kong. Fish tank (left). 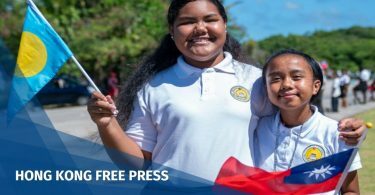 Talking Ah-Tak (right) – share your secrets with Ah Tak, the official Keep Clean Ambassador. Photo: Designing Hong Kong. Nap booth (left). Work station (right). Photo: Designing Hong Kong. A smart payphone (left) with web access and digital payments. 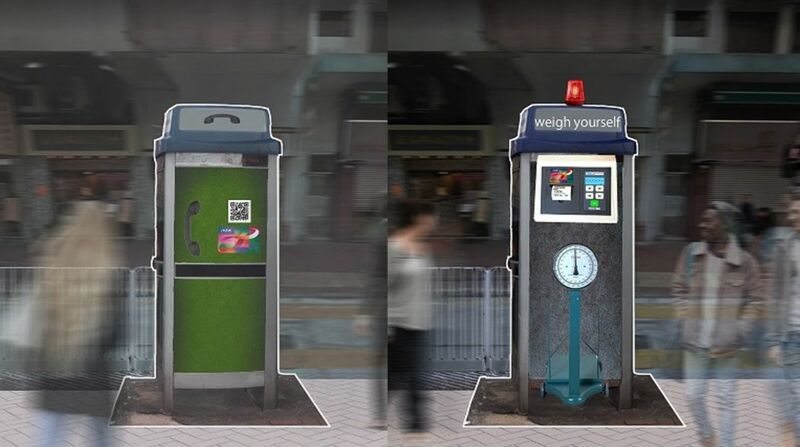 ‘The Scales’ weight booth (right), with interactive scales and health advice. Photo: Designing Hong Kong. Teleportation booth (left). Silent place (right) to provide a convenient place to take a call. Photo: Designing Hong Kong. 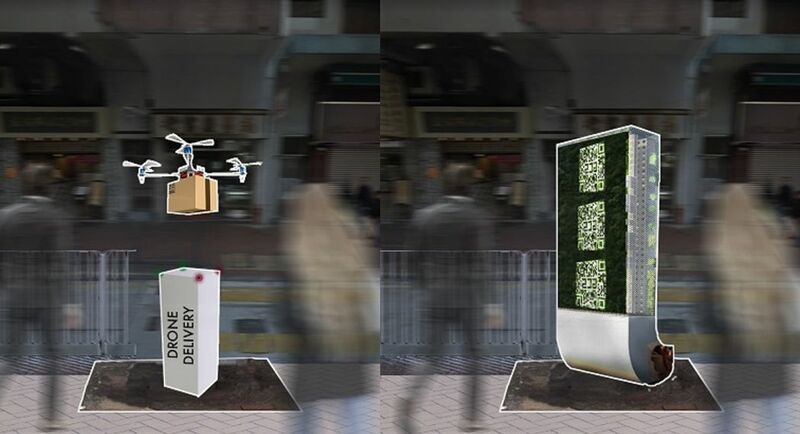 A landing point for drone deliveries (left). Air filter system (right). Photo: Designing Hong Kong. Virtual rickshaw tour point (left). Bruce Lee training pole (right) with a video tutorial to help users practice their Kung Fu moves. Photo: Designing Hong Kong. 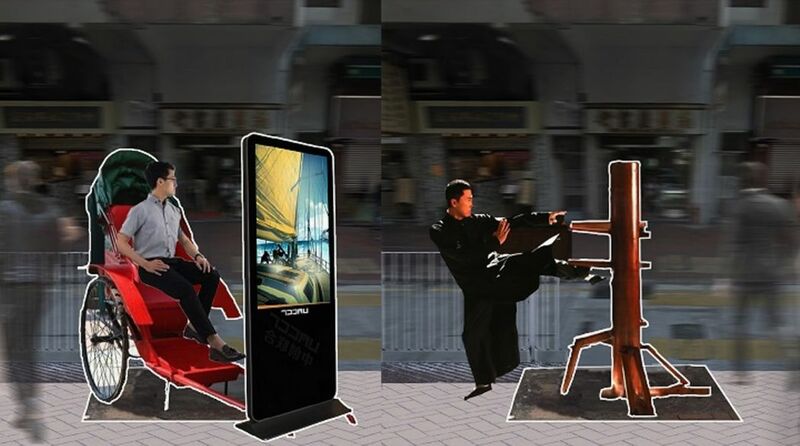 Advertising panel (left), with an interactive billboard. 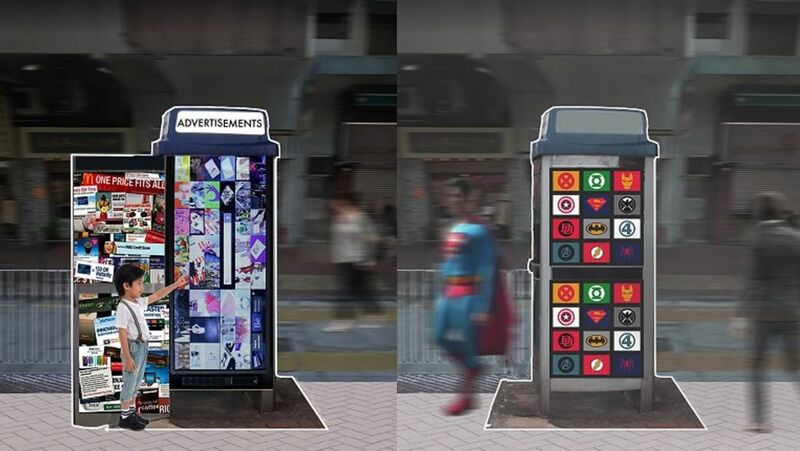 Superhero changing booth (right) for superheros to change their clothes. Photo: Designing Hong Kong. Multi-purpose panel (left) with a tourist map, weather information, free WiFi, phone charging and emergency call point. Mini shop (right). Photo: Designing Hong Kong. Karaoke booth (left). 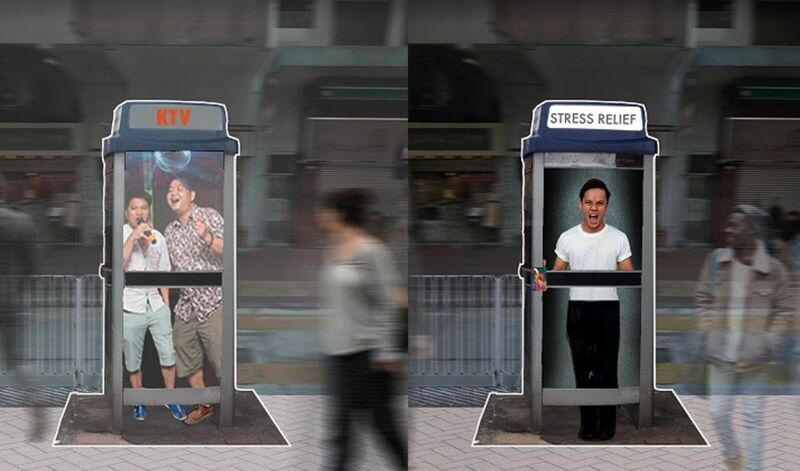 Stress relief booth (right). Photo: Designing Hong Kong. Lock and pickup point (left) with lockers to keep items safe and provide a delivery address for others. 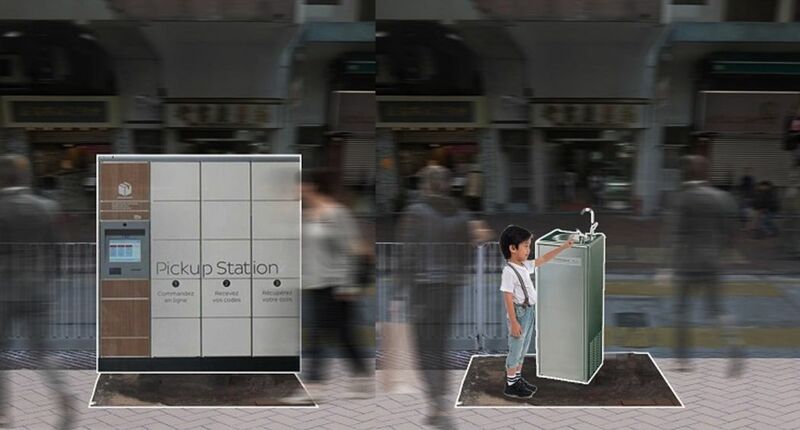 Drinking fountain (right) for members of the public to quickly refill their water bottles and reduce plastic waste. Photo: Designing Hong Kong. 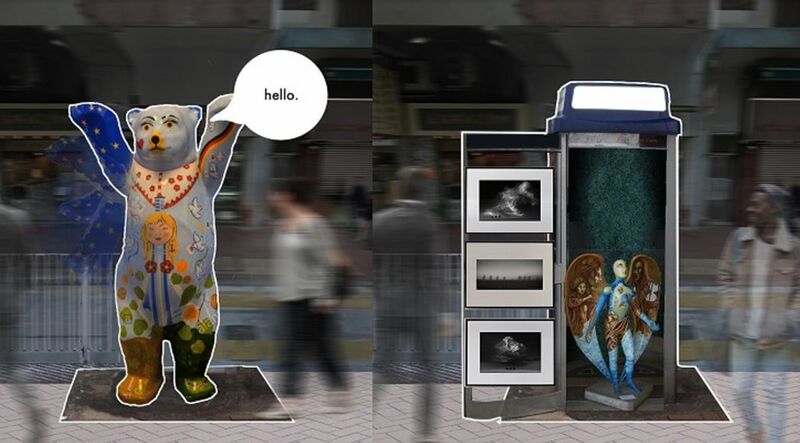 Interactive art statue (left). Mini art exhibition (right). Photo: Designing Hong Kong. 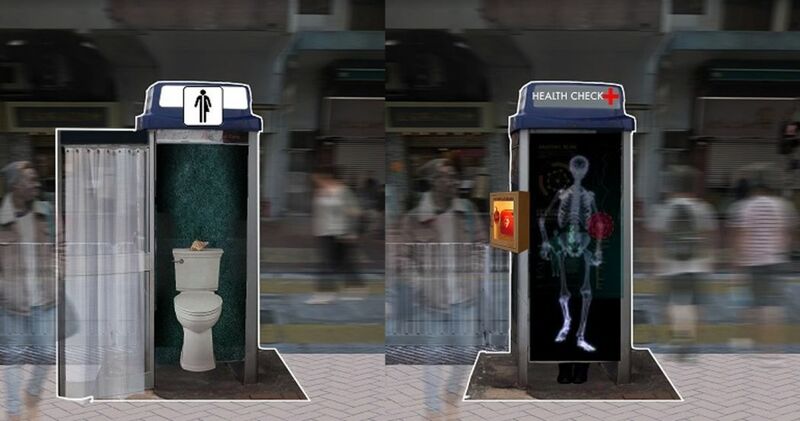 In Pictures: Top-ups, toilets or teleportal - How to repurpose Hong Kong's 2,900 payphone booths?